The study identifies five main types of content: how to, lists, what posts, why posts and videos. Of those types, lists got the most social engagement at 22.45%. Does that mean that you should only publish list posts from now on? Of course not, because the study shows differences depending on the niche. Unsurprisingly, lists work best for travel and entertainment. 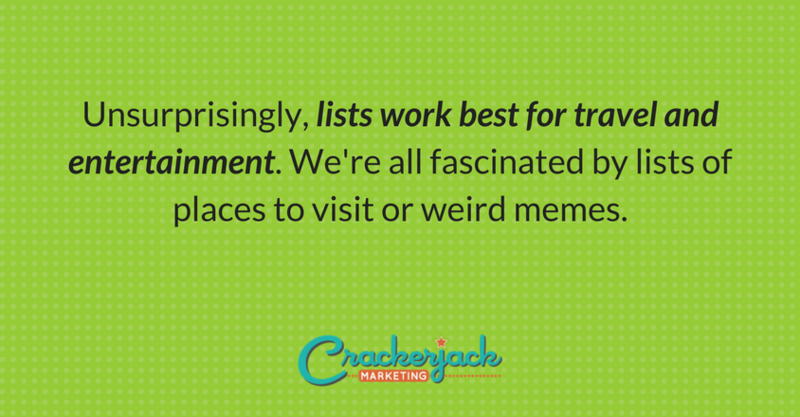 We’re all fascinated by lists of places to visit or weird memes. 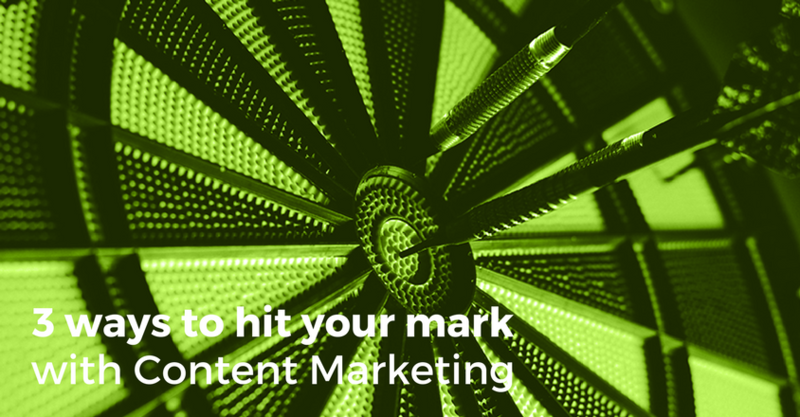 If you’re in a different niche, then consider whether lists are the right content for you. The lesson is to use the content types as a starting point, but do your research (and check your analytics) to see which performs best for you. Engagement also changes across the board depending on your niche, with some niches having far more active audiences than others. If you’re in the tech business you’re likely to get a lot of social shares for any content you publish. That also applies to lifestyle, business, education and finance. On the other hand, if you’re in automotive, health and food, you’ll see much lower sharing figures. Timing also affects engagement. That’s not just about the time of day you publish, but the time of year. October is a great month for almost all types of posts, but especially for what posts, while the summer months of July and August see lower social sharing figures across the board. Hubspot has a great analysis of this. It’s also worth noting, that news and entertainment are high performing sectors for social sharing. Using analytics, social media and customer interaction data to figure out the most common questions so you can answer them with posts. Checking out your competitors’ sites for questions their customers ask that you can answer. Collecting helpful resources to form useful lists for your customers. Breaking industry trends or finding an entertaining spin on a key issue. This will help you create content that is shared over and over again, continuing to promote your business years after the original publication date. Buzzsumo and Fractl also used the data to produce a social content calendar to guide you as to what content does best in every month. One interesting finding there is that videos did particularly well in August and September. Related to this, Buzzsumo and Uberflip did additional research on the content people share most. It showed that how to posts remain popular, with an average of 5,200 shares apiece. In addition, quizzes can get millions of shares and image posts get double the number of shares as posts without images. 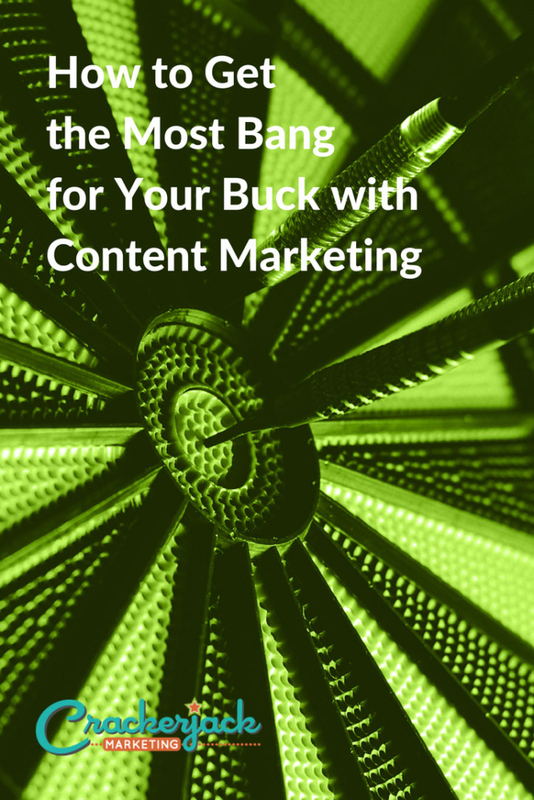 So, how do you get more from your content marketing efforts? Check out the research cited above in detail. Look at your own customer data and see if it matches up. Identify a mix of content for your blog and social media (probably how-to and lists for your blog and images for social). What types of content do you find most effective for your audience?